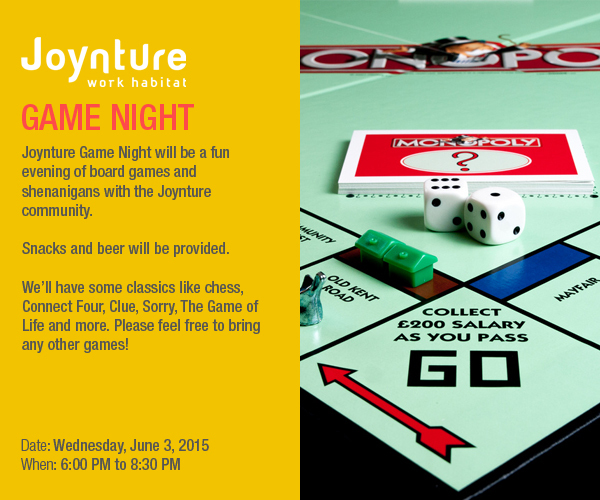 We are pleased to host Game Night this evening (Wednesday, June 3) in The Hamilton, our main event space. The fun starts at 6 p.m. Please join us!